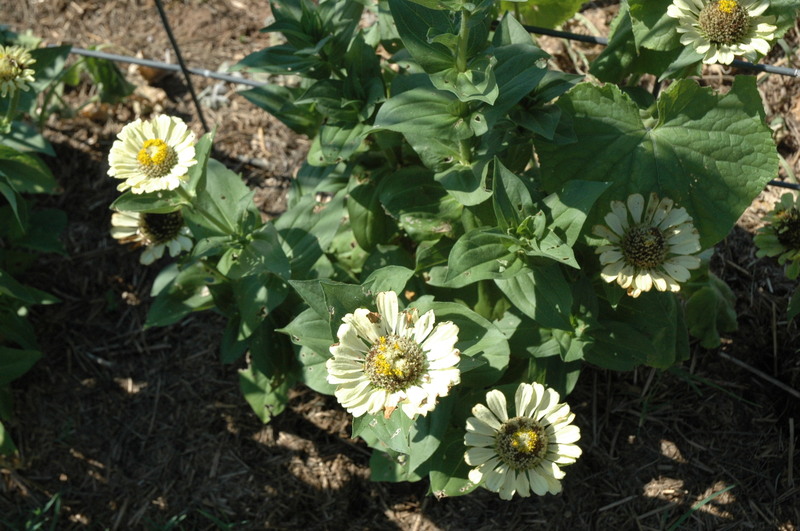 I am quite satisfied with these flowers, these are a cactus variety of zinnia from Baker Creek Seed Co. The package said “Giant”. Not quite so sure about that, but the color is really nice. We’ll put this into the “Love” category. This too can be put into the “Love” category. This, another cactus variety of zinnia, called “Bright Jewel Cactus”, seeds from Baker Creek Seed Co. I’m in love with the color. 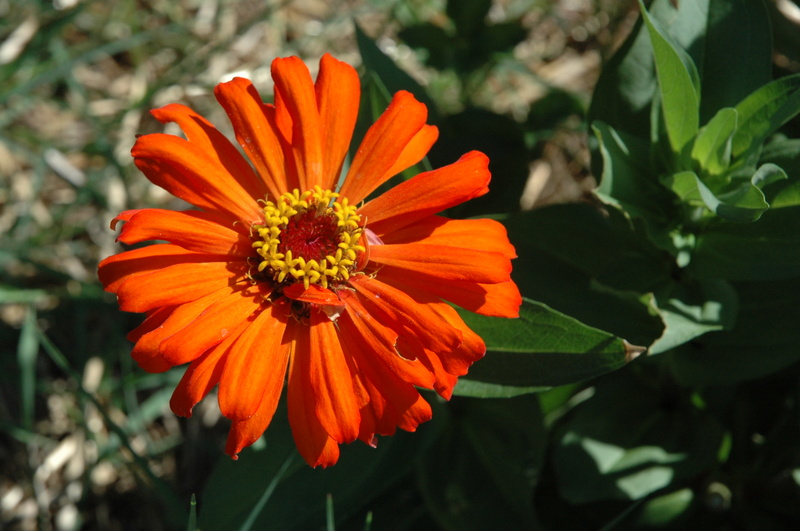 Anything orange attracts my eye, but when it’s a beautiful flower, even more so. With this pack of seeds you get a few colors. I’ve noticed a few white, a few yellow, some orange and pinks. I’m satisfied with this mix of seed. A beautiful mix of color. This is the pink that comes mixed with the “Bright Jewel” packet. It’s pretty, more of a salmon pink. 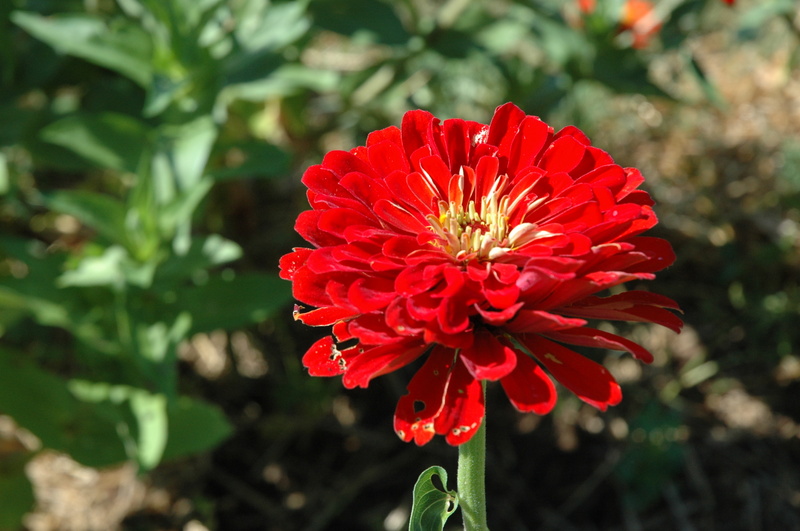 The award for “I love you, I love you, I love you!” goes to the “Righteous Red” zinnia from Seeds of Change. 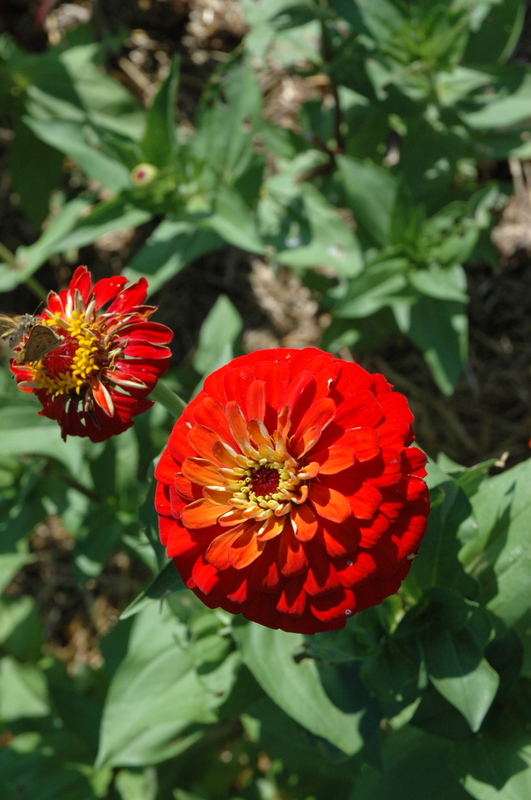 These seeds had an excellent germination rate and produce hearty, vigorous plants. The color was very chromatic, no complaints. Absolutely stunning flowers. 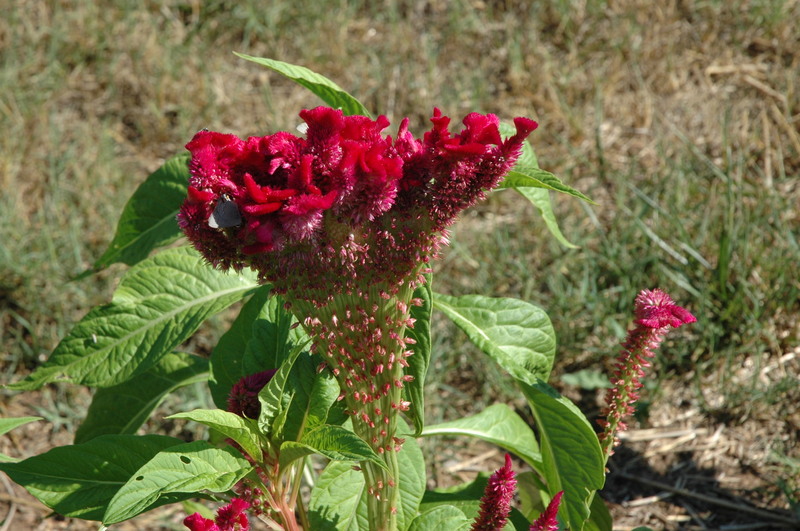 I am also in love with my Celosia, seeds from Seeds of Change. The germination rate was good and the plants are healthy. Hideous! This is what the seed company advertised. In fact, that’s even a terrible picture. The picture in their catalogue was a lime green like this. Not what I have here. The single blooms are not pretty and they fall apart AND they look ugly a whole lot faster than they should. I only have one plant that produces double blooms, but the color is far from what was advertised. 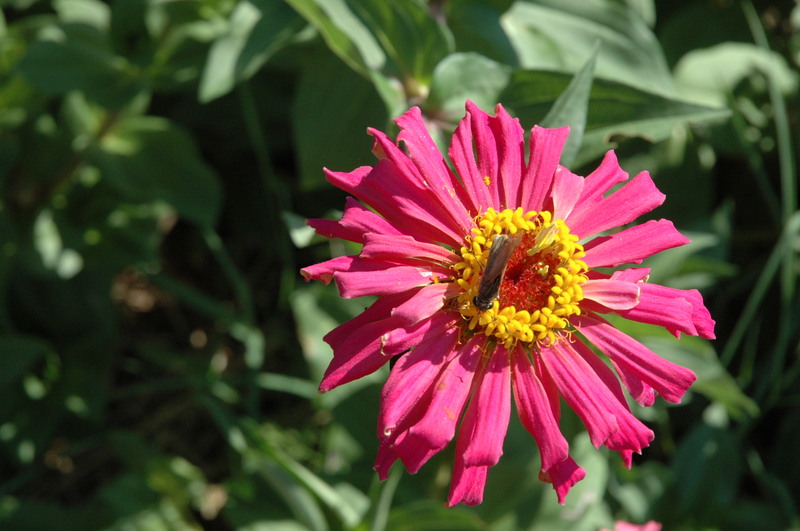 Let this serve as a warning to stay away from this variety of zinnia. 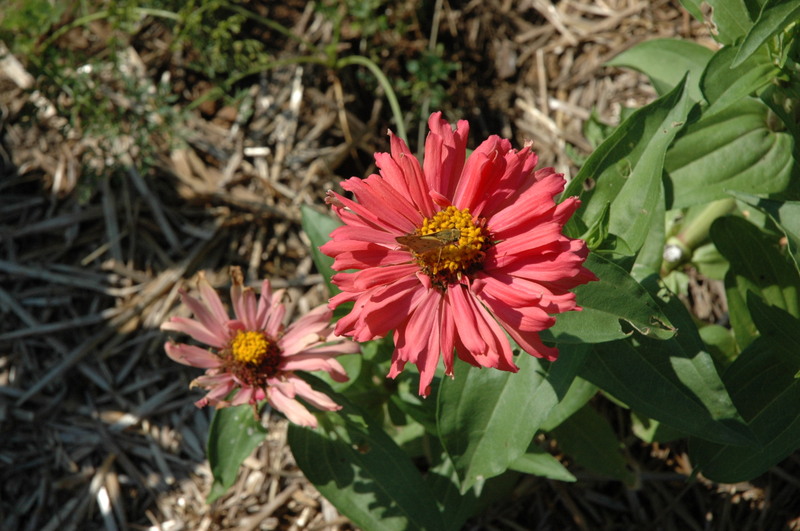 Notice the brown petals, this flower just bloomed! Shouldn’t be brown. 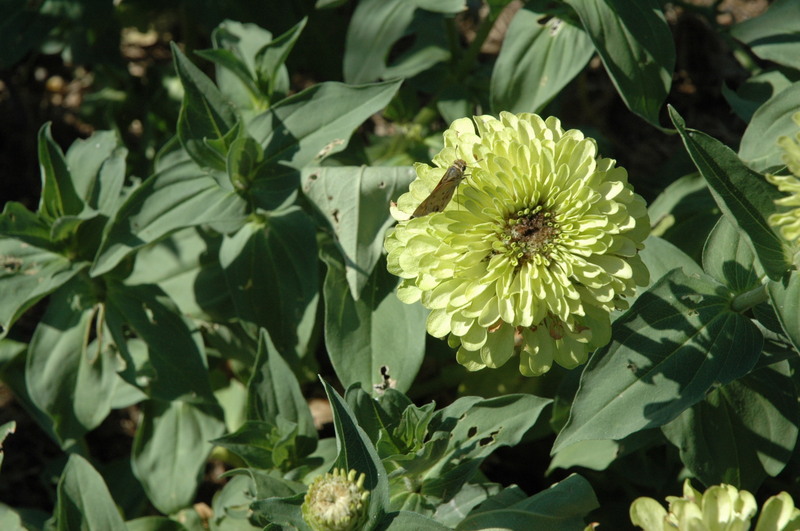 Yuck “Envy” zinnia, just yuck. Beeautiful photos. 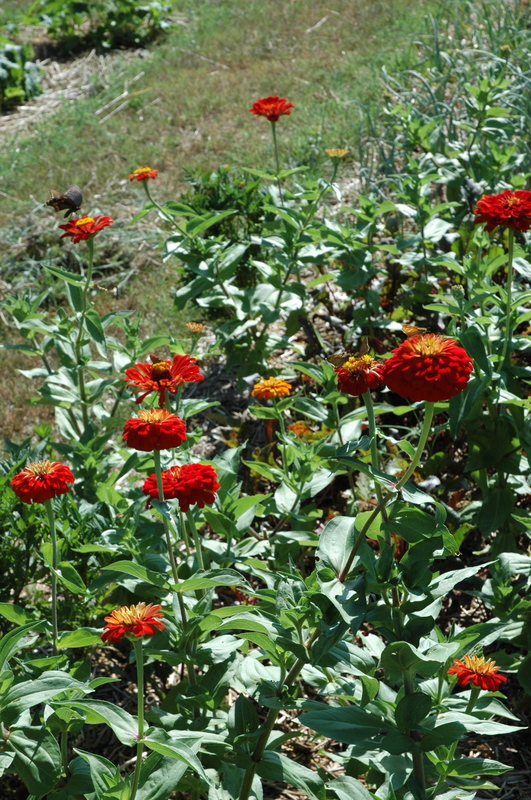 Zinnias are some of my favorite flowers — lots of variety and easy to grow from seed and not fussy when it comes to water. Red happens to be my favorite color, but this year I planted a red/lime variety (from Burpee). It looks like antique rose colored. Nice, but not as dramatic as red. Enjoy the day! Thank you for your comment and your interest in my blog. Where do you garden at? trial and error, Baker Creek Seeds have a warranty many of the MG’s were very dissapointed with MANY of the seeds and most likely won’t buy more. However, I’ve been told the Seed Saver.com has wonderful seeds yr. after yr., i was told this by the 4H/Jr. Mg chairperson in Fayetteville and others chimed in to confirm her suggestion.